This? It's nothing. Just the Teenie Halloweenies. 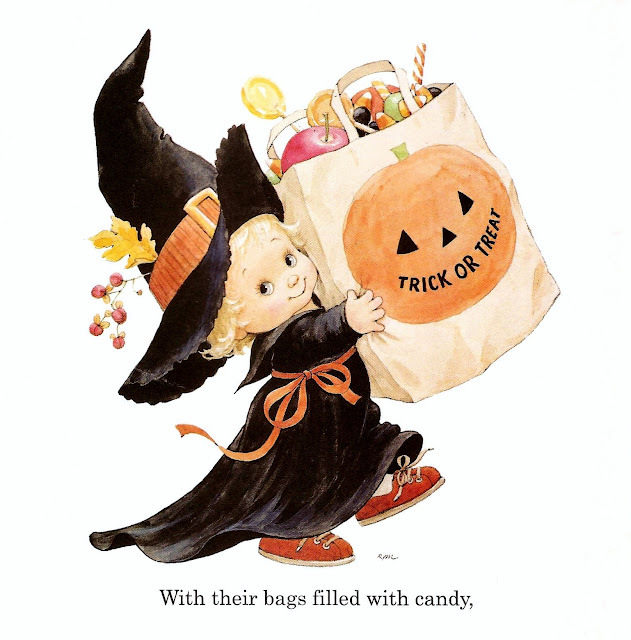 Just the cutest, sweetest, most adorable Halloween book for Tiny Tots that you will ever ever see. So if you're not interested in that, then just move it along. Just shuffle right on by the Extremeliest Adorable-est Darlingest booky-book you've ever peeked at. It's best that way actually, not to know about this much cuteness. Someone's eyeballs might get hurt. I can only see your scans... my computer doesn't like the ones from the other place (apparently) on a side note, I really really want a new computer... sigh. 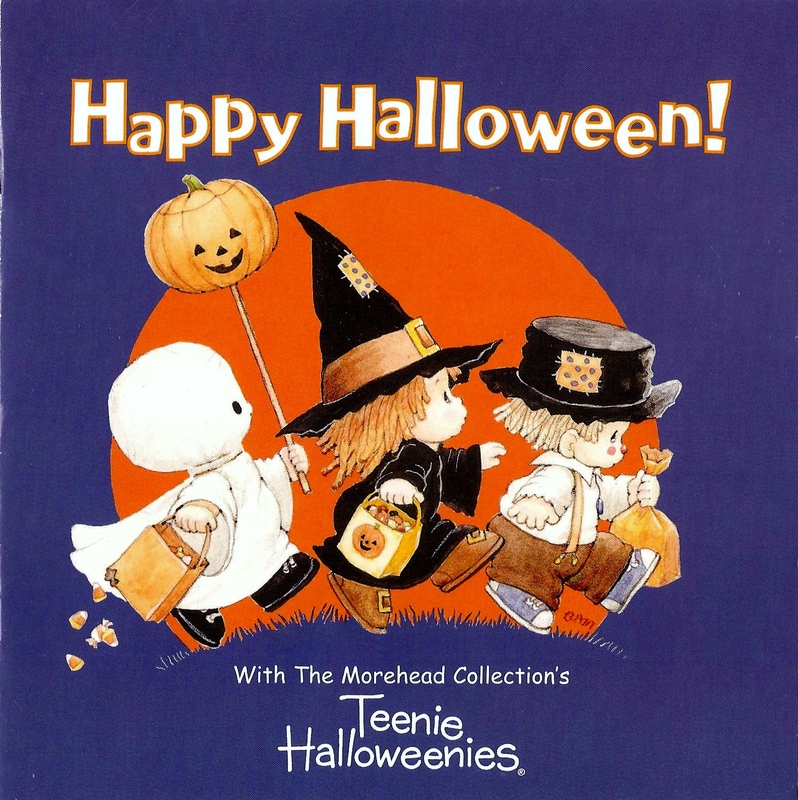 I haven't ever seen Teenie Halloweenies... but it looks beyond adorable! I'm wanting to read it to miss kitten. I'm with Robyn – I can only see your scans too. Anyway, super adorable and the text is just like what you see here. We got candy! Bobbing for apples is fun! Etc.